New terminal facilities will open the way for a doubling of Norilsk Nickel’s deliveries of nickel from Arctic Siberia to the Kola Peninsula. The company is about to complete the reconstruction of a second berthing complex at its Transport Division in Murmansk. That will enable the mining and metallurgy company to increase local deliveries of processed nickel from today’s 780,000 tons to 1,5 million tons, a press release informs. The company needs the more powerful terminal capacities in Murmansk as it closes its oldest and most polluting plant in Norilsk, Western Siberia. Nickel matte from that plant will now instead be transported to the Kola Peninsula and processed at the company’s plants in Monchegorsk. Dredging operations in the adjacent Kola Bay are now underway. That will facilitate the docking of ships with a draft up to 11,2 meter, the company informs. The upgraded terminal will be able to handle up to three vessel at the same time. The project has a price tag of up to 1.5 billion rubles (€21 million) and is to stand ready in the course of first quarter 2017. Norilsk Nickel possesses five Arctic-class container carriers, tankers and an icebreaker, which allows it to autonomously conduct shipping operations between Dudinka, the port on the Yenisey, and the Kola Peninsula. Norilsk Nickel in previous years shipped not only nickel matte, but also ore, from Norilsk to the Kola Peninsula. However, in the post-Soviet period, the company has used primarily local ore in its Kola processing plants. 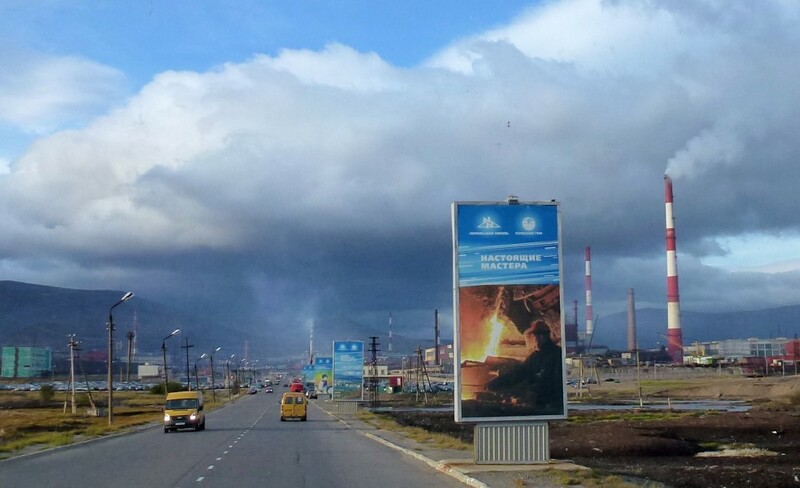 Kola MMC, the regional subsidiary of Norilsk Nickel, has mining and processing facilities in Monchegorsk, as well as the towns of Nikel and Zapolyarny near the borders to Norway and Finland.